Check out Tobi's Reissa Peplum Top The Reissa Peplum Top is the perfect little cocktail top you've been missing. It's strapless and features bust cups with a back zipper closure. Looks killer with a fitted pencil skirt or lace up leather jeans. 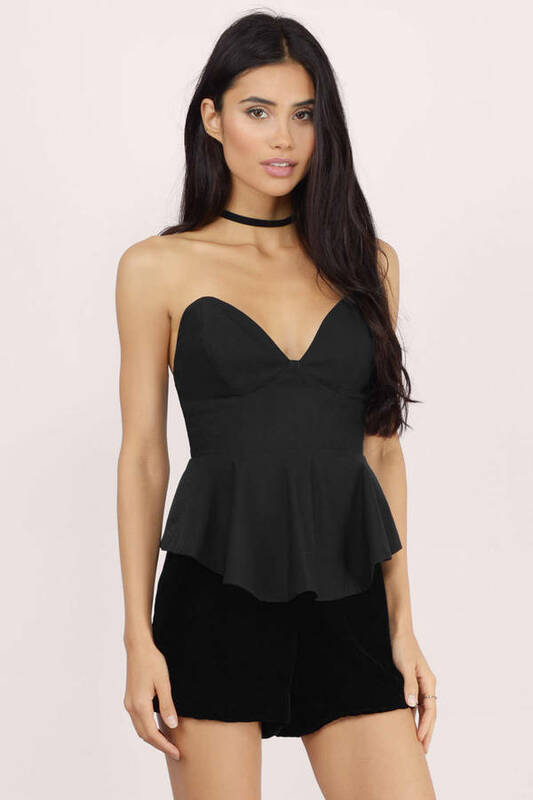 The Reissa Peplum Top is the perfect little cocktail top you've been missing. It's strapless and features bust cups with a back zipper closure. Looks killer with a fitted pencil skirt or lace up leather jeans.